For other uses, see Mirror (disambiguation), Mirrors (disambiguation) or Looking Glass (disambiguation). The most familiar type of mirror is the plane mirror, which has a flat surface. Curved mirrors are also used, to produce magnified or diminished images or focus light or simply distort the reflected image. Mirrors are commonly used for personal grooming or admiring oneself (where they are also called looking-glasses), for viewing the area behind and on the sides on motor vehicles while driving, for decoration, and architecture. Mirrors are also used in scientific apparatus such as telescopes and lasers, cameras, and industrial machinery. Most mirrors are designed for visible light; however, mirrors designed for other wavelengths of electromagnetic radiation are also used. There are many types of glass mirrors, each representing a different manufacturing process and reflection type. A safety glass mirror is made by adhering a special protective film to the back surface of a silver glass mirror, which prevents injuries in case the mirror is broken. This kind of mirror is used for furniture, doors, glass walls, commercial shelves, or public areas. Decorative glass mirrors are usually handcrafted. A variety of shades, shapes and glass thickness are often available. ° angle, vertically in the opposite direction. This law mathematically follows from the interference of a plane wave on a flat boundary (of much larger size than the wavelength). In a plane mirror, a parallel beam of light changes its direction as a whole, while still remaining parallel; the images formed by a plane mirror are virtual images, of the same size as the original object (see mirror image). In a convex mirror, parallel beams become divergent, with the rays appearing to diverge from a common point of intersection "behind" the mirror. Spherical concave and convex mirrors do not focus parallel rays to a single point due to spherical aberration. However, the ideal of focusing to a point is a commonly used approximation. Parabolic reflectors resolve this, allowing incoming parallel rays (for example, light from a distant star) to be focused to a small spot; almost an ideal point. Parabolic reflectors are not suitable for imaging nearby objects because the light rays are not parallel. 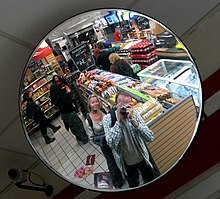 A large convex mirror. Distortions in the image increase with the viewing distance. Looking at an image of oneself with the front-back axis flipped results in the perception of an image with its left-right axis flipped. When reflected in the mirror, your right hand remains directly opposite your real right hand, but it is perceived as the left hand of your image. When a person looks into a mirror, the image is actually front-back reversed, which is an effect similar to the hollow-mask illusion. Notice that a mirror image is fundamentally different from the object and cannot be reproduced by simply rotating the object. For things that may be considered as two-dimensional objects (like text), front-back reversal cannot usually explain the observed reversal. In the same way that text on a piece of paper appears reversed if held up to a light and viewed from behind, text held facing a mirror will appear reversed, because the observer is behind the text. Another way to understand the reversals observed in images of objects that are effectively two-dimensional is that the inversion of left and right in a mirror is due to the way human beings turn their bodies. To turn from viewing the side of the object facing the mirror to view the reflection in the mirror requires the observer to look in the opposite direction. To look in another direction, human beings turn their heads about a vertical axis. This causes a left-right reversal in the image but not an up-down reversal. If a person instead turns by bending over and looking at the mirror image between their legs, up-down will appear reversed but not left-right. This sort of reversal is simply a change relative to the observer and not a change intrinsic to the image itself, as with a three-dimensional object. The first mirrors used by humans were most likely pools of dark, still water, or water collected in a primitive vessel of some sort. The requirements for making a good mirror are a surface with a very high degree of flatness (preferably but not necessarily with high reflectivity), and a surface roughness smaller than the wavelength of the light. The earliest manufactured mirrors were pieces of polished stone such as obsidian, a naturally occurring volcanic glass. Examples of obsidian mirrors found in Anatolia (modern-day Turkey) have been dated to around 6000 B.C. Mirrors of polished copper were crafted in Mesopotamia from 4000 B.C., and in ancient Egypt from around 3000 B.C. Polished stone mirrors from Central and South America date from around 2000 B.C. onwards. In China, bronze mirrors were manufactured from around 2000 B.C., some of the earliest bronze and copper examples being produced by the Qijia culture. Mirrors made of other metal mixtures (alloys) such as copper and tin speculum metal may have also been produced in China and India. Mirrors of speculum metal or any precious metal were hard to produce and were only owned by the wealthy. These stone and metal mirrors could be made in very large sizes, but were difficult to polish and get perfectly flat; a process that became more difficult with increased size; so they often produced warped or blurred images. Stone mirrors often had poor reflectivity compared to metals, yet metals scratch or tarnish easily, so they frequently needed polishing. Depending upon the color, both often yielded reflections with poor color rendering. The poor image quality of ancient mirrors explains 1 Corinthians 13's reference to seeing "as in a mirror, darkly." Glass was a desirable material for mirrors. Because the surface of glass is naturally smooth, it produces reflections with very little blur. In addition, glass is very hard and scratch-resistant. However, glass by itself has little reflectivity, so people began coating it with metals to increase the reflectivity. Metal-coated glass mirrors are said by the Roman scholar Pliny the Elder to have been invented in Sidon (modern-day Lebanon) in the first century A.D., although no archeological evidence of them date from before the third century. According to Pliny, the people of Sidon developed a technique for creating crude mirrors by coating blown glass with molten lead. Glass mirrors backed with gold leaf are mentioned by Pliny in his Natural History, written in about 77 A.D. Because there were few ways to make a smooth piece of glass with a uniform thickness, these ancient glass-mirrors were made by blowing a glass bubble, and then cutting off a small, circular section, producing mirrors that were either concave or convex. These circular mirrors were typically small, from five to eight inches (13–20 cm) in diameter. These small mirrors produced distorted images, yet were prized objects of high value. These ancient glass mirrors were very thin, thus very fragile, because the glass needed to be extremely thin to prevent cracking when coated with a hot, molten metal. Due to the poor quality, high cost, and small size of these ancient glass mirrors, solid metal-mirrors primarily of steel were usually preferred until the late nineteenth century. Parabolic mirrors were described and studied in classical antiquity by the mathematician Diocles in his work On Burning Mirrors. Ptolemy conducted a number of experiments with curved polished iron mirrors, and discussed plane, convex spherical, and concave spherical mirrors in his Optics. Parabolic mirrors were also described by the physicist Ibn Sahl in the tenth century, and Ibn al-Haytham discussed concave and convex mirrors in both cylindrical and spherical geometries, carried out a number of experiments with mirrors, and solved the problem of finding the point on a convex mirror at which a ray coming from one point is reflected to another point. By the 11th century, glass mirrors were being produced in Moorish Spain. In China, people began making mirrors by coating metallic objects with silver-mercury amalgams as early as 500 A.D. This was accomplished by coating the mirror with the amalgam, and then heating it until the mercury boiled away, leaving only the silver behind. The problems of making metal-coated, glass mirrors was due to the difficulties in making glass that was very clear, as most ancient glass was tinted green with iron. This was overcome when people began mixing soda, limestone, potash, manganese, and fern ashes with the glass. There was also no way for the ancients to make flat panes of glass with uniform thicknesses. The earliest methods for producing glass panes began in France, when people began blowing glass bubbles, and then spinning them rapidly to flatten them out into plates from which pieces could be cut. However, these pieces were still not uniform in thickness, so produced distorted images as well. A better method was to blow a cylinder of glass, cut off the ends, slice it down the center, and unroll it onto a flat hearth. This method produced the first mirror-quality glass panes, but it was very difficult and resulted in a lot of breakage. Even windows were primarily made of oiled paper or stained glass, until the mid-nineteenth century, due to the high cost of making clear, flat panes of glass. The method of making flat panes of clear glass from blown cylinders began in Germany and evolved through the Middle Ages, until being perfected by the Venetians in the sixteenth century. The Venetians began using lead glass for its crystal-clarity and its easier workability. Some time during the early Renaissance, European manufacturers perfected a superior method of coating glass with a tin-mercury amalgam, producing an amorphous coating with better reflectivity than crystalline metals and causing little thermal shock to the glass. The exact date and location of the discovery is unknown, but in the sixteenth century, Venice, a city famed for its glass-making expertise, became a center of mirror production using this new technique. Glass mirrors from this period were extremely expensive luxuries. For example, in the late seventeenth century, the Countess de Fiesque was reported to have traded an entire wheat farm for a mirror, considering it a bargain. These Venetian mirrors were limited in size to a maximum area of around 40 inches (100 cm) square, until modern glass panes began to be produced during the Industrial Revolution. The Saint-Gobain factory, founded by royal initiative in France, was an important manufacturer, and Bohemian and German glass, often rather cheaper, was also important. The invention of the silvered-glass mirror is credited to German chemist Justus von Liebig in 1835. His process involved the deposition of a thin layer of metallic silver onto glass through the chemical reduction of silver nitrate. This silvering process was adapted for mass manufacturing and led to the greater availability of affordable mirrors. In the modern age, mirrors are often produced by the wet deposition of silver, or sometimes nickel or chromium (the latter used most often in automotive mirrors) via electroplating directly onto the glass substrate. Vacuum deposition began with the study of the sputtering phenomenon during the 1920s and 1930s, which was a common problem in lighting in which metal ejected from the electrodes coated the glass, blocking output. However, turning sputtering into a reliable method of coating a mirror did not occur until the invention of semiconductors in the 1970s. Evaporation coating was pioneered by John Strong in 1912. Aluminum was a desirable material for mirrors, but was too dangerous to apply with electroplating. Strong used evaporation coating to make the first aluminum telescope mirrors in the 1930s. The first dielectric mirror was created in 1937 by Auwarter using evaporated rhodium, while the first metallic mirror to be enhanced with a dielectric coating of silicon dioxide was created by Hass the same year. In 1939 at the Schott Glass company, Walter Geffcken invented the first dielectric mirrors to use multilayer coatings (stacks). Four different mirrors, showing the difference in reflectivity. Clockwise from upper left: dielectric (80%), aluminum (85%), chrome (25%), and enhanced silver (99.9%). All are first-surface mirrors except the chrome mirror. The dielectric mirror reflects yellow light from the first-surface, but acts like an antireflection coating to purple light, thus produced a ghost reflection of the lightbulb from the second-surface. A dielectric mirror-stack works on the principle of thin-film interference. Each layer has a different refractive index, allowing each interface to produce a small amount of reflection. When the thickness of the layers is proportional to the chosen wavelength, the multiple reflections constructively interfere. Stacks may consist of a few to hundreds of individual coats. Mirrors are manufactured by applying a reflective coating to a suitable substrate. The most common substrate is glass, due to its transparency, ease of fabrication, rigidity, hardness, and ability to take a smooth finish. The reflective coating is typically applied to the back surface of the glass, so that the reflecting side of the coating is protected from corrosion and accidental damage by the glass on one side and the coating itself and optional paint for further protection on the other. In classical antiquity, mirrors were made of solid metal (bronze, later silver) and were too expensive for widespread use by common people; they were also prone to corrosion. Due to the low reflectivity of polished metal, these mirrors also gave a darker image than modern ones, making them unsuitable for indoor use with the artificial lighting of the time (candles or lanterns). 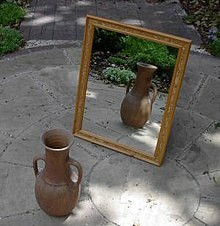 The method of making mirrors out of plate glass was invented by 13th-century Venetian glassmakers on the island of Murano, who covered the back of the glass with an amorphous coat of tin using a fire-gilding technique, obtaining near-perfect and undistorted reflection. For over one hundred years, Venetian mirrors installed in richly decorated frames served as luxury decorations for palaces throughout Europe, but the secret of the mercury process eventually arrived in London and Paris during the 17th century, due to industrial espionage. French workshops succeeded in large-scale industrialization of the process, eventually making mirrors affordable to the masses, although mercury's toxicity (a primary ingredient in gilding, which was boiled away forming noxious vapors) remained a problem. The tin(II) chloride is applied because silver will not bond with the glass. The activator causes the tin/silver to harden. Copper is added for long-term durability. The paint protects the coating on the back of the mirror from scratches and other accidental damage. In some applications, generally those that are cost-sensitive or that require great durability, such as for mounting in a prison cell, mirrors may be made from a single, bulk material such as polished metal. However, metals consist of small crystals (grains) separated by grain boundaries. Thus, crystalline metals do not reflect with perfect uniformity. Other methods like wet-deposition or electroplating produce a non-crystalline coating of amorphous metal (metallic glass). Lacking any grain boundaries, the amorphous coatings have higher reflectivity than crystalline metals of the same type. Electroplating must be performed by first coating the glass with carbon, to make the surface electrically conductive, thus the adhesion is often not as good as with wet-deposition. Both lack the ability to produce perfectly uniform thicknesses with high precision. When high precision or reflectivity is not a requirement, the coating may be placed on the back of the mirror so that the light passes through the glass, and the coating is the second surface it encounters. Therefore, these are called second-surface mirrors, which have the added benefit of high durability, because the glass substrate can protect the coating from damage. For technical applications such as laser mirrors, the reflective coating is typically applied by vacuum deposition. Vacuum deposition provides an effective means of producing a very uniform coating, and controlling the thickness with high precision. In applications where great precision and low losses are required, the coated side of the mirror may be the first material encountered by the light, referred to as a first-surface mirror. This eliminates refraction and double reflections, also called "ghost reflections" (a weak reflection from the surface of the glass, and a stronger one from the reflecting metal), and reduces absorption of light by the mirror. Technical mirrors may use a silver, aluminium, or gold coating (the latter typically for infrared mirrors), and achieve reflectivities of 90–95% when new. A hard, protective, transparent overcoat may be applied to prevent oxidation of the reflective layer and scratching of the soft metal. Applications requiring higher reflectivity or greater durability, where wide bandwidth is not essential, use dielectric coatings, which can achieve reflectivities as high as 99.997% over a limited range of wavelengths. Because the coatings are usually transparent, absorption losses are negligible. Unlike with metals, the reflectivity of the individual dielectric-coatings is a function of Snell's law known as the Fresnel equations, determined by the difference in refractive index between layers. Therefore, the thickness and material of the coatings can be adjusted to be centered on any wavelength. Vacuum deposition can be achieved in a number of ways, including sputtering, evaporation deposition, arc deposition, reactive-gas deposition, and ion plating, among many others. Polishing the primary mirror for the Hubble space telescope. A deviation in the surface quality of approximately 4λ resulted in poor images initially, which was eventually compensated for using corrective optics. A dielectric, laser output-coupler that is 75–80% reflective between 500 and 600 nm. Left: The mirror is highly reflective to yellow and green but highly transmissive to red and blue. 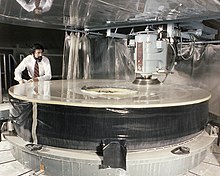 Right: The mirror transmits 25% of the 589 nm laser light. Because the smoke particles diffract more light than they reflect, the beam appears much brighter when reflecting back toward the observer. Flatness errors, like rippled dunes across the surface, produced these artifacts, distortion, and low image quality in the far field reflection of a household mirror. Mirrors can be manufactured to a wide range of engineering tolerances, including reflectivity, surface quality, surface roughness, or transmissivity, depending on the desired application. These tolerances can range from low, such as found in a normal household-mirror, to extremely high, like those used in lasers or telescopes. Increasing the tolerances allows better and more precise imaging or beam transmission over longer distances. In imaging systems this can help reduce anomalies (artifacts), distortion or blur, but at a much higher cost. Where viewing distances are relatively close or high precision is not a concern, lower tolerances can be used to make effective mirrors at affordable costs. The reflectivity of a mirror is determined by the percentage of reflected light per the total of the incident light. The reflectivity may vary with wavelength. All or a portion of the light not reflected is absorbed by the mirror, while in some cases a portion may also transmit through. Although some small portion of the light will be absorbed by the coating, the reflectivity is usually higher for first-surface mirrors, eliminating both reflection and absorption losses from the substrate. The reflectivity is often determined by the type and thickness of the coating. When the thickness of the coating is sufficient to prevent transmission, all of the losses occur due to absorption. Aluminum is harder, less expensive, and more resistant to tarnishing than silver, and will reflect 85 to 90% of the light in the visible to near-ultraviolet range, but experiences a drop in its reflectance between 800 and 900 nm. Gold is very soft and easily scratched, costly, yet does not tarnish. Gold is greater than 96% reflective to near and far-infrared light between 800 and 12000 nm, but poorly reflects visible light with wavelengths shorter than 600 nm (yellow). Silver is expensive, soft, and quickly tarnishes, but has the highest reflectivity in the visual to near-infrared of any metal. Silver can reflect up to 98 or 99% of light to wavelengths as long as 2000 nm, but loses nearly all reflectivity at wavelengths shorter than 350 nm. Dielectric mirrors can reflect greater than 99.99% of light, but only for a narrow range of wavelengths, ranging from a bandwidth of only 10 nm to as wide as 100 nm for tunable lasers. However, dielectric coatings can also enhance the reflectivity of metallic coatings and protect them from scratching or tarnishing. Dielectric materials are typically very hard and relatively cheap, however the number of coats needed generally makes it an expensive process. In mirrors with low tolerances, the coating thickness may be reduced to save cost, and simply covered with paint to absorb transmission. Surface quality, or surface accuracy, measures the deviations from a perfect, ideal surface shape. Increasing the surface quality reduces distortion, artifacts, and aberration in images, and helps increase coherence, collimation, and reduce unwanted divergence in beams. For plane mirrors, this is often described in terms of flatness, while other surface shapes are compared to an ideal shape. The surface quality is typically measured with items like interferometers or optical flats, and are usually measured in wavelengths of light (λ). These deviations can be much larger or much smaller than the surface roughness. A normal household-mirror made with float glass may have flatness tolerances as low as 9–14λ per inch (25.4 mm), equating to a deviation of 5600 through 8800 nanometers from perfect flatness. Precision ground and polished mirrors intended for lasers or telescopes may have tolerances as high as λ/50 (1/50 of the wavelength of the light, or around 12 nm) across the entire surface. The surface quality can be affected by factors such as temperature changes, internal stress in the substrate, or even bending effects that occur when combining materials with different coefficients of thermal expansion, similar to a bimetallic strip. Surface roughness describes the texture of the surface, often in terms of the depth of the microscopic scratches left by the polishing operations. Surface roughness determines how much of the reflection is specular and how much diffuses, controlling how sharp or blurry the image will be. For perfectly specular reflection, the surface roughness must be kept smaller than the wavelength of the light. Microwaves, which sometimes have a wavelength greater than an inch (~25 mm) can reflect specularly off a metal screen-door, continental ice-sheets, or desert sand, while visible light, having wavelengths of only a few hundred nanometers (a few hundred-thousandths of an inch), must meet a very smooth surface to produce specular reflection. For wavelengths that are approaching or are even shorter than the diameter of the atoms, such as X-rays, specular reflection can only be produced by surfaces that are at a grazing incidence from the rays. Surface roughness is typically measured in microns, wavelength, or grit size, with ~80,000–100,000 grit or ~½λ–¼λ being "optical quality". Transmissivity is determined by the percentage of light transmitted per the incident light. Transmissivity is usually the same from both first and second surfaces. The combined transmitted and reflected light, subtracted from the incident light, measures the amount absorbed by both the coating and substrate. For transmissive mirrors, such as one-way mirrors, beam splitters, or laser output couplers, the transmissivity of the mirror is an important consideration. The transmissivity of metallic coatings are often determined by their thickness. For precision beam-splitters or output couplers, the thickness of the coating must be kept at very high tolerances to transmit the proper amount of light. For dielectric mirrors, the thickness of the coat must always be kept to high tolerances, but it is often more the number of individual coats that determine the transmissivity. For the substrate, the material used must also have good transmissivity to the chosen wavelengths. Glass is a suitable substrate for most visible-light applications, but other substrates such as zinc selenide or synthetic sapphire may be used for infrared or ultraviolet wavelengths. Reflections in a spherical convex mirror. The photographer is seen at top right. Mirrors are commonly used as aids to personal grooming. They may range from small sizes, good to carry with oneself, to full body sized; they may be handheld, mobile, fixed or adjustable. A classic example of the latter is the cheval glass, which may be tilted. Convex mirrors provide a wider field of view than flat mirrors, and are often used on vehicles, especially large trucks, to minimize blind spots. They are sometimes placed at road junctions, and corners of sites such as parking lots to allow people to see around corners to avoid crashing into other vehicles or shopping carts. They are also sometimes used as part of security systems, so that a single video camera can show more than one angle at a time. Convex mirrors as decoration are used in interior design to provide a predominantly experiential effect. Mouth mirrors or "dental mirrors"
Mouth mirrors or "dental mirrors" are used by dentists to allow indirect vision and lighting within the mouth. Their reflective surfaces may be either flat or curved. Mouth mirrors are also commonly used by mechanics to allow vision in tight spaces and around corners in equipment. Rear-view mirrors are widely used in and on vehicles (such as automobiles, or bicycles), to allow drivers to see other vehicles coming up behind them. On rear-view sunglasses, the left end of the left glass and the right end of the right glass work as mirrors. One-way windows can be made to work with polarized light in the laboratory without violating the second law. This is an apparent paradox that stumped some great physicists, although it does not allow a practical one-way mirror for use in the real world. Optical isolators are one-way devices that are commonly used with lasers. With the sun as light source, a mirror can be used to signal by variations in the orientation of the mirror. The signal can be used over long distances, possibly up to 60 kilometres (37 mi) on a clear day. This technique was used by Native American tribes and numerous militaries to transmit information between distant outposts. Mirrors can also be used for search to attract the attention of search and rescue helicopters. Specialized type of mirrors are available and are often included in military survival kits. Microscopic mirrors are a core element of many of the largest high-definition televisions and video projectors. A common technology of this type is Texas Instruments' DLP. A DLP chip is a postage stamp-sized microchip whose surface is an array of millions of microscopic mirrors. The picture is created as the individual mirrors move to either reflect light toward the projection surface (pixel on), or toward a light absorbing surface (pixel off). Other projection technologies involving mirrors include LCoS. Like a DLP chip, LCoS is a microchip of similar size, but rather than millions of individual mirrors, there is a single mirror that is actively shielded by a liquid crystal matrix with up to millions of pixels. The picture, formed as light, is either reflected toward the projection surface (pixel on), or absorbed by the activated LCD pixels (pixel off). LCoS-based televisions and projectors often use 3 chips, one for each primary color. Large mirrors are used in rear projection televisions. Light (for example from a DLP as mentioned above) is "folded" by one or more mirrors so that the television set is compact. Mirrors are integral parts of a solar power plant. The one shown in the adjacent picture uses concentrated solar power from an array of parabolic troughs. Telescopes and other precision instruments use front silvered or first surface mirrors, where the reflecting surface is placed on the front (or first) surface of the glass (this eliminates reflection from glass surface ordinary back mirrors have). Some of them use silver, but most are aluminium, which is more reflective at short wavelengths than silver. All of these coatings are easily damaged and require special handling. They reflect 90% to 95% of the incident light when new. The coatings are typically applied by vacuum deposition. A protective overcoat is usually applied before the mirror is removed from the vacuum, because the coating otherwise begins to corrode as soon as it is exposed to oxygen and humidity in the air. Front silvered mirrors have to be resurfaced occasionally to keep their quality. There are optical mirrors such as mangin mirrors that are second surface mirrors (reflective coating on the rear surface) as part of their optical designs, usually to correct optical aberrations. Deformable thin-shell mirror. It is 1120 millimetres across but just 2 millimetres thick, making it much thinner than most glass windows. The reflectivity of the mirror coating can be measured using a reflectometer and for a particular metal it will be different for different wavelengths of light. This is exploited in some optical work to make cold mirrors and hot mirrors. A cold mirror is made by using a transparent substrate and choosing a coating material that is more reflective to visible light and more transmissive to infrared light. A hot mirror is the opposite, the coating preferentially reflects infrared. Mirror surfaces are sometimes given thin film overcoatings both to retard degradation of the surface and to increase their reflectivity in parts of the spectrum where they will be used. For instance, aluminum mirrors are commonly coated with silicon dioxide or magnesium fluoride. The reflectivity as a function of wavelength depends on both the thickness of the coating and on how it is applied. A dielectric coated mirror used in a dye laser. The mirror is over 99% reflective at 550 nanometers, (yellow), but will allow most other colors to pass through. A dielectric mirror used in tunable lasers. With a center wavelength of 600 nm and bandwidth of 100 nm, the coating is totally reflective to the orange construction paper, but only reflects the reddish hues from the blue paper. In astronomy, adaptive optics is a technique to measure variable image distortions and adapt a deformable mirror accordingly on a timescale of milliseconds, to compensate for the distortions. Although most mirrors are designed to reflect visible light, surfaces reflecting other forms of electromagnetic radiation are also called "mirrors". The mirrors for other ranges of electromagnetic waves are used in optics and astronomy. Mirrors for radio waves (sometimes known as reflectors) are important elements of radio telescopes. Due to its location in a steep-sided valley, the Italian town of Viganella gets no direct sunlight for seven weeks each winter. In 2006 a €100,000 computer-controlled mirror, 8×5 m, was installed to reflect sunlight into the town's piazza. In early 2007 the similarly situated village of Bondo, Switzerland, was considering applying this solution as well. In 2013, mirrors were installed to reflect sunlight into the town square in the Norwegian town of Rjukan. Mirrors can be used to produce enhanced lighting effects in greenhouses or conservatories. Mirrors are a popular design theme in architecture, particularly with late modern and post-modernist high-rise buildings in major cities. Early examples include the Campbell Center in Dallas, which opened in 1972, and the John Hancock Tower in Boston. More recently, two skyscrapers designed by architect Rafael Viñoly, the Vdara in Las Vegas and 20 Fenchurch Street in London, have experienced unusual problems due to their concave curved glass exteriors acting as respectively cylindrical and spherical reflectors for sunlight. In 2010, the Las Vegas Review Journal reported that sunlight reflected off the Vdara's south-facing tower could singe swimmers in the hotel pool, as well as melting plastic cups and shopping bags; employees of the hotel referred to the phenomenon as the "Vdara death ray", aka the "fryscraper." In 2013, sunlight reflecting off 20 Fenchurch Street melted parts of a Jaguar car parked nearby and scorching or igniting the carpet of a nearby barber shop. This building had been nicknamed the "walkie-talkie" because its shape was supposedly similar to a certain model of two-way radio; but after its tendency to overheat surrounding objects became known, the nickname changed to the "walkie-scorchie." Painters depicting someone gazing into a mirror often also show the person's reflection. This is a kind of abstraction—in most cases the angle of view is such that the person's reflection should not be visible. Similarly, in movies and still photography an actor or actress is often shown ostensibly looking at him- or herself in the mirror, and yet the reflection faces the camera. In reality, the actor or actress sees only the camera and its operator in this case, not their own reflection. Many self-portraits are made possible through the use of mirrors, such as the great self-portraits by Dürer, Frida Kahlo, Rembrandt, and Van Gogh. M. C. Escher used special shapes of mirrors in order to achieve a much more complete view of his surroundings than by direct observation in Hand with Reflecting Sphere (also known as Self-Portrait in Spherical Mirror). Mirror in interior design: "Waiting room in the house of M.me B. ",project by Italian architect Arnaldo dell'Ira, Rome, 1939. Contemporary anamorphic artist Jonty Hurwitz uses cylindrical mirrors to project distorted sculptures. A Chinese magic mirror is an art in which the face of the bronze mirror projects the same image that was cast on its back. This is due to minute curvatures on its front. Specular holography uses a large number of curved mirrors embedded in a surface to produce three-dimensional imagery. In the Middle Ages mirrors existed in various shapes for multiple uses. Mostly they were used as an accessory for personal hygiene but also as tokens of courtly love, made from ivory in the ivory carving centers in Paris, Cologne and the Southern Netherlands. They also had their uses in religious contexts as they were integrated in a special form of pilgrims badges or pewter/lead mirror boxes since the late 14th century. Burgundian ducal inventories show us that the dukes owned a mass of mirrors or objects with mirrors, not only with religious iconography or inscriptions, but combined with reliquaries, religious paintings or other objects that were distinctively used for personal piety. Considering mirrors in paintings and book illumination as depicted artifacts and trying to draw conclusions about their functions from their depicted setting, one of these functions is to be an aid in personal prayer to achieve self-knowledge and knowledge of God, in accord with contemporary theological sources. E.g. the famous Arnolfini-Wedding by Jan van Eyck shows a constellation of objects that can be recognized as one which would allow a praying man to use them for his personal piety: the mirror surrounded by scenes of the Passion to reflect on it and on oneself, a rosary as a device in this process, the veiled and cushioned bench to use as a prie-dieu, and the abandoned shoes that point in the direction in which the praying man kneeled. The metaphorical meaning of depicted mirrors is complex and many-layered, e.g. as an attribute of Mary, the “speculum sine macula”, or as attributes of scholarly and theological wisdom and knowledge as they appear in book illuminations of different evangelists and authors of theological treatises. Depicted mirrors – orientated on the physical properties of a real mirror – can be seen as metaphors of knowledge and reflection and are thus able to remind the beholder to reflect and get to know himself. The mirror may function simultaneously as a symbol and a device of a moral appeal. That is also the case if it is shown in combination with virtues and vices, a combination which also occurs more frequently in the 15th century: The moralizing layers of mirror metaphors remind the beholder to examine himself thoroughly according to his own virtuous or vicious life. This is all the more true if the mirror is combined with iconography of death. Not only is Death as a corpse or skeleton holding the mirror for the still living personnel of paintings, illuminations and prints, but the skull appears on the convex surfaces of depicted mirrors, showing the painted and real beholder his future face. Mirrors, typically large and unframed, are frequently used in interior decoration to create an illusion of space and amplify the apparent size of a room. They come also framed in a variety of forms, such as the pier glass and the overmantel mirror. The hall of mirrors, commonly found in amusement parks, is an attraction in which a number of distorting mirrors are used to produce unusual reflections of the visitor. Mirror mazes, often found in amusement parks as well, contain large numbers of mirrors and sheets of glass. The idea is to navigate the disorientating array without bumping into the walls. Mirrors in attractions like this are often made of Plexiglas as to assure that they do not break. Candyman is a horror film about a malevolent spirit summoned by speaking its name in front of a mirror. Mirrors is a horror film about haunted mirrors that reflect different scenes than those in front of them. Poltergeist III features mirrors that do not reflect reality and which can be used as portals to the afterlife. Oculus is a horror film about a haunted mirror that causes people to hallucinate and commit acts of violence. The 10th Kingdom miniseries requires the characters to use a magic mirror to travel between New York City (the 10th Kingdom) and the Nine Kingdoms of fairy tale. Christian Bible passages, 1 Corinthians 13:12 ("Through a Glass Darkly") and 2 Corinthians 3:18, reference a dim mirror image or poor mirror reflection. Narcissus of Greek mythology wastes away while gazing, self-admiringly, at his reflection in water. The Song dynasty history Zizhi Tongjian "Comprehensive Mirror in Aid of Governance" by Sima Guang is so titled because "mirror" (鑑, jiàn) is used metaphorically in Chinese to refer to gaining insight by reflecting on past experience or history. In the European fairy tale, "Snow White" (collected by the Brothers Grimm in 1812), the evil queen asks, "Mirror, mirror, on the wall... who's the fairest of them all?" In Alfred, Lord Tennyson's famous poem "The Lady of Shalott" (1833, revised in 1842), the titular character possesses a mirror that enables her to look out on the people of Camelot, as she is under a curse that prevents her from seeing Camelot directly. In Oscar Wilde's novel, The Picture of Dorian Gray (1890), a portrait serves as a magical mirror that reflects the true visage of the perpetually youthful protagonist, as well as the effect on his soul of each sinful act. The short story "Tlön, Uqbar, Orbis Tertius" by Jorge Luis Borges begins with the phrase "I owe the discovery of Uqbar to the conjunction of a mirror and an encyclopedia" and contains other references to mirrors. "The Trap", a short story by H.P. Lovecraft and Henry S. Whitehead, centers around a mirror. "It was on a certain Thursday morning in December that the whole thing began with that unaccountable motion I thought I saw in my antique Copenhagen mirror. Something, it seemed to me, stirred—something reflected in the glass, though I was alone in my quarters." The magical objects in the Harry Potter series (1997–2011) include the Mirror of Erised and two-way mirrors. Under "Appendix: Variant Planes & Cosmologies" of the Dungeons & Dragons Manual Of The Planes (2000), is The Plane of Mirrors (page 204). It describes the Plane of Mirrors as a space existing behind reflective surfaces, and experienced by visitors as a long corridor. The greatest danger to visitors upon entering the plane is the instant creation of a mirror-self with the opposite alignment of the original visitor. "The Mirror Thief", a novel by Martin Seay (2016), includes a fictional account of industrial espionage surrounding mirror manufacturing in 16th century Venice. "The Reaper's Image", a short story by Stephen King, concerns a rare Elizabethan mirror that displays the Reaper's image when viewed, which symbolises the death of the viewer. Kilgore Trout, a protagonist of Kurt Vonnegut's novel Breakfast of Champions, believes that mirrors are windows to other universes, and refers to them as "leaks," a recurring motif in the book. Humans. Humans tend to fail the mirror test until they are about 18 months old, or what psychoanalysts call the "mirror stage". Gorillas. Initially, it was thought that gorillas did not pass the test, but there are now several well-documented reports of gorillas (such as Koko) passing the test. Other types of reflecting device are also called "mirrors". Acoustic mirrors are passive devices used to reflect and perhaps to focus sound waves. 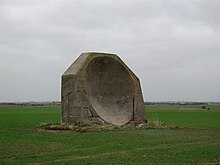 Acoustic mirrors were used for selective detection of sound waves, especially during World War II. They were used for detection of enemy aircraft, prior to the development of radar. Acoustic mirrors are used for remote probing of the atmosphere; they can be used to form a narrow diffraction-limited beam. They can also be used for underwater imaging. Active mirrors are mirrors that amplify the light they reflect. They are used to make disk lasers. The amplification is typically over a narrow range of wavelengths, and requires an external source of power. Atomic mirrors are devices which reflect matter waves. Usually, atomic mirrors work at grazing incidence. Such mirrors can be used for atomic interferometry and atomic holography. It has been proposed that they can be used for non-destructive imaging systems with nanometer resolution. Cold mirrors are dielectric mirrors that reflect the entire visible light spectrum, while efficiently transmitting infrared wavelengths. These are the converse of hot mirrors. Corner reflectors use three flat mirrors to reflect light back towards its source, they may also be implemented with prisms that reflect using total internal reflection that have no mirror surfaces. They are used for emergency location, and traffic reflectors. Metallic reflectors are used to reflect infrared light (such as in space heaters or microwaves). Non-reversing mirrors are mirrors that provide a non-reversed image of their subjects. X-ray mirrors produce specular reflection of X-rays. All known types work only at angles near grazing incidence, and only a small fraction of the rays are reflected. See also X-ray optics. 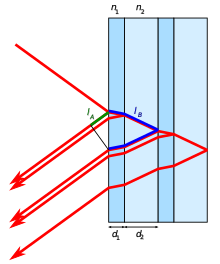 Flying relativistic mirrors use a shockwave (wake wave) in a plasma to produce not only specular but also coherent reflection of high-energy radiation with very short wavelengths, and are used in some types of X-ray lasers. The wake wave is produced by a very intense laser-pulse focused into the low-density plasma, which creates a wall of charged particles and free electrons moving at an extremely high velocity. Based on the Theory of Special Relativity, because of the wake wave's speed, it can reflect radiation with wavelengths much shorter than visible or UV light. TLV mirror – An ancient type of Chinese mirror from the Han dynasty. ^ "Silver Mirror | Hongjia Architectural Glass Manufacturer". Hongjia Glass. Retrieved 2019-02-19. ^ Katz, Debora M. (2016-01-01). Physics for Scientists and Engineers: Foundations and Connections. Cengage Learning. ISBN 9781337026369. ^ Arago, François; Lardner, Dionysius (1845). Popular Lectures on Astronomy: Delivered at the Royal Observatory of Paris. Greeley & McElrath. ^ "Chinavoc.com". Chinavoc.com. Archived from the original on 19 October 2013. Retrieved 3 June 2014. ^ Joseph Needham (1974). Science and Civilisation in China. Cambridge University Press. p. 238. ISBN 978-0-521-08571-7. ^ Albert Allis Hopkins (1910). The Scientific American cyclopedia of formulas: partly based upon the 28th ed. of Scientific American cyclopedia of receipts, notes and queries. Munn & co., inc. p. 89. ^ Melchior-Bonnet, Sabine (2002). The Mirror: A History. ISBN 978-0415924481. ^ Smith, A. Mark (1996). "Ptolemy's Theory of Visual Perception: An English Translation of the "Optics" with Introduction and Commentary". Transactions of the American Philosophical Society. New Series. 86 (2): iii–300. doi:10.2307/3231951. JSTOR 3231951. ^ Rashed, Roshdi (1990). "A Pioneer in Anaclastics: Ibn Sahl on Burning Mirrors and Lenses". Isis. 81 (3): 464–491 [465, 468, 469]. doi:10.1086/355456. ^ Dr. Mahmoud Al Deek. "Ibn Al-Haitham: Master of Optics, Mathematics, Physics and Medicine", Al Shindagah, November–December 2004. ^ Kasem Ajram (1992). The Miracle of Islam Science (2nd ed.). Knowledge House Publishers. p. 171. ISBN 978-0-911119-43-5. ^ Hadsund, Per (1993). "The Tin-Mercury Mirror: Its Manufacturing Technique and Deterioration Processes". Studies in Conservation. 38 (1): 3–16. JSTOR 1506387. ^ Liebig, Justus (1856). "Ueber Versilberung und Vergoldung von Glas". Annalen der Chemie und Pharmacie. 98 (1): 132–139. doi:10.1002/jlac.18560980112. ^ "Welcome to". Mirrorlink.org. Retrieved 2014-06-03. ^ Lanzagorta, Marco (2012). Quantum Radar. Morgan & Claypool Publishers. ISBN 9781608458264. ^ Whiton, Sherrill (2013-04-16). Elements Of Interior Design And Decoration. Read Books Ltd. ISBN 9781447498230. ^ "Mirror Reflection – Interesting Materials to use in interior design (I) – Iri's Interior Design World". Retrieved 2019-02-19. ^ "Mirror Manufacturing and Composition". Mirrorlink.org. Archived from the original on February 14, 2015. Retrieved 2014-06-03. ^ Saunders, Nigel (2004-02-06). Aluminum and the Elements of Group 13. Capstone Classroom. ISBN 9781403454959. ^ Watson, Don Arthur (January 1986). Construction Materials and Processes. Gregg Division, McGraw-Hill. ISBN 9780070684768. ^ Düzgün, H. Şebnem; Demirel, Nuray (2011). Remote Sensing of the Mine Environment. CRC Press. p. 24. ^ Warner, Timothy A.; Nellis, M. Duane; Foody, Giles M. The SAGE Handbook of Remote Sensing. SAGE. pp. 349–350. ^ Schram, Joseph F. (1969-01-01). Planning & remodeling bathrooms. Lane Books. ISBN 9780376013224. ^ Taylor, Charles (2000). The Kingfisher Science Encyclopedia. Kingfisher. ISBN 9780753452691. ^ Assessment of Vehicle Safety Problems for Special Driving Populations: Final Report. U.S. National Highway Traffic Safety Administration. 1979. ^ "The Charm of Convex Mirrors". 2016-02-06. ^ Anderson, Pauline Carter; Pendleton, Alice E. (2000). The Dental Assistant. Cengage Learning. ISBN 978-0766811133. ^ Board, Editorial. The Gist of NCERT -- GENERAL SCIENCE. Kalinjar Publications. ISBN 9789351720188. ^ "How Do Two-Way Mirrors Work?". 2012-11-02. Retrieved 2017-07-31. ^ Mungan, C.E. (1999). "Faraday Isolators and Kirchhoff's Law: A Puzzle" (PDF). Retrieved 18 July 2006. ^ Rayleigh (10 October 1901). "On the magnetic rotation of light and the second law of thermodynamics". Nature (London). 64 (1667): 577. ^ Palenzuela, Patricia; Alarcón-Padilla, Diego-César; Zaragoza, Guillermo (2015-10-09). Concentrating Solar Power and Desalination Plants: Engineering and Economics of Coupling Multi-Effect Distillation and Solar Plants. Springer. ISBN 9783319205359. ^ "Mirror Lenses – how good? Tamron 500/8 SP vs Canon 500/4.5L". Bobatkins.com. Retrieved 2014-06-03. ^ "Super-thin Mirror Under Test at ESO". ESO Picture of the Week. Retrieved 19 February 2013. ^ Ivan Moreno (2010). "Output irradiance of tapered lightpipes" (PDF). JOSA A. 27 (9): 1985–93. Bibcode:2010JOSAA..27.1985M. doi:10.1364/JOSAA.27.001985. PMID 20808406. ^ "Italy village gets 'sun mirror'". BBC News. 18 December 2006. Retrieved 12 May 2010. ^ "Swiss Officials Want to Spread Sunshine, Swiss Officials May Build Giant Mirror to Give Light to Sunless Village – CBS News". Archived from the original on 17 March 2009. ^ Steve Brown (2012-05-17). "Reflections on mirrored glass: '70s bling buildings still shine". Dallas Morning News. ^ "Vdara visitor: 'Death ray' scorched hair". 2010-09-25. ^ "'Death Ray II'? London Building Reportedly Roasts Cars". ^ Camp, Pannill (2014-12-04). The First Frame. Cambridge University Press. ISBN 9781107079168. ^ Kurze, Caroline. "Anamorphic Art by István Orosz". Ignant. ^ "The skewed anamorphic sculptures and engineered illusions of Jonty Hurwitz". Christopher Jobson, Colossal. 21 Jan 2013. ^ "Magic Mirrors" (PDF). The Courier: 16–17. October 1988. ISSN 0041-5278. Retrieved 23 August 2011. ^ "Gothic Ivories Project at The Courtauld Institute of Art, London". www.gothicivories.courtauld.ac.uk. 1 October 2008. Retrieved 29 July 2018. Search for "mirror case" or "mirror". ^ "Lid of a mirror box". Museum Bojmans van Beuningen, Rotterdam. Retrieved 29 July 2018. See this example of a pewter mirror box from around 1450–1500. ^ Scheel, Johanna (2013). Das altniederländische Stifterbild. Emotionsstrategien des Sehens und der Selbsterkenntnis. Berlin: Gebr. Mann. pp. 342–351. ISBN 978-3-7861-2695-9. ^ Scheel, Johanna (2013). Das altniederländische Stifterbild. Emotionsstrategien des Sehens und der Selbsterkenntnis. Berlin: Gebr. Mann. pp. 323–342. ISBN 978-3-7861-2695-9. ^ Scheel, Johanna (2013). Das altniederländische Stifterbild. Emotionsstrategien des Sehens und der Selbsterkenntnis. Berlin: Gebr. Mann. pp. 353–397. ISBN 978-3-7861-2695-9. ^ "Product Design: Futuristic, Liquid Mirror Door". ^ Carroll, Lewis. "Through the Looking-glass: And what Alice Found There". Macmillan Children's. Retrieved 24 February 2019. ^ Simon Callow (19 September 2009). "Mirror, mirror". The Guardian. The Guardian: Culture Web. Retrieved 20 November 2010. ^ "The Picture of Dorian Gray". Sparknotes.com. Retrieved 20 November 2010. ^ ""The Trap" by H. P. Lovecraft". hplovecraft.com. ^ Grubb, Jeff; David Noonan; Bruce R. Cordell (2001). Manual Of The Planes. Wizards of the Coast. ISBN 978-0-7869-1850-8. ^ Seay, Martin (2016). The Mirror Thief. Melville House. ISBN 9781612195148. ^ "Consciousness and the Symbolic Universe". Ulm.edu. Retrieved 2014-06-03. ^ Stanley Coren (2004). How dogs think. ISBN 978-0-7432-2232-7. ^ Archer, John (1992). Ethology and Human Development. Rowman & Littlefield. ISBN 978-0-389-20996-6. ^ a b Miller, Jason (2009). "Minding the Animals: Ethology and the Obsolescence of Left Humanism". American Chronicle. Retrieved 2009-05-21. ^ "National Geographic documentary "Human Ape"". Retrieved 2010-06-11. ^ Francine Patterson and Wendy Gordon The Case for Personhood of Gorillas. In The Great Ape Project, ed. Paola Cavalieri and Peter Singer, St. Martin's Griffin, 1993, pp. 58–77. ^ Marten, K. & Psarakos, S. (1995). "Evidence of self-awareness in the bottlenose dolphin (Tursiops truncatus)". In Parker, S.T. ; Mitchell, R. & Boccia, M. Self-awareness in Animals and Humans: Developmental Perspectives. Cambridge University Press. pp. 361–379. Archived from the original on 13 October 2008. Retrieved 4 October 2008. ^ Delfour, F; Marten, K (2001). "Mirror image processing in three marine mammal species: killer whales (Orcinus orca), false killer whales (Pseudorca crassidens) and California sea lions (Zalophus californianus)". Behavioural Processes. 53 (3): 181–190. doi:10.1016/s0376-6357(01)00134-6. PMID 11334706. ^ Prior, Helmut; Schwarz, Ariane; Güntürkün, Onur; De Waal, Frans (2008). De Waal, Frans, ed. "Mirror-Induced Behavior in the Magpie (Pica pica): Evidence of Self-Recognition" (PDF). PLoS Biology. 6 (8): e202. doi:10.1371/journal.pbio.0060202. PMC 2517622. PMID 18715117. Archived from the original (PDF) on 19 November 2008. Retrieved 2008-08-21. ^ M. A. Kallistratova (1997). Physical grounds for acoustic remote sensing of the atmospheric boundary layer. Lecture Notes in Earth Sciences. 69. Springer. pp. 3–34. Bibcode:1997LNES...69....3K. doi:10.1007/BFb0009558. ISBN 978-3-540-61612-2. ^ Wang, Wei-Chih. "PME4031: Engineering Optips" (PDF). University of Washington. National Tsinghua University. Retrieved 28 June 2017. ^ V.V. Protopopov; V.A. Shishkov, and V.A. Kalnov (2000). "X-ray parabolic collimator with depth-graded multilayer mirror". Review of Scientific Instruments. 71 (12): 4380–4386. Bibcode:2000RScI...71.4380P. doi:10.1063/1.1327305. Mirror, Mirror: A History of the Human Love Affair with Reflection, Mark Pendergrast. Basic Books (2003). ISBN 0-465-05471-4. On reflection, Jonathan Miller, National Gallery Publications Limited (1998). ISBN 0-300-07713-0. Look up mirror in Wiktionary, the free dictionary.